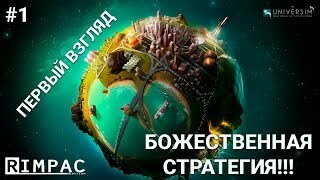 Разработка The Universim представляет из себя этакий симулятор Бога, в котором развитие цивилизации, всего мира, зависит исключительно от ваших правильных решений, а любое неосторожное действие может привести к катастрофическим последствиям, вплоть до апокалипсиса. Здесь всё происходит очень быстро. Еще вчера ваши челочки только научились добывать огонь, а уже сегодня они во всю строят деревни и даже устраивают войны. Fixed the issue with the grass shaders. Previously grass & flowers shaders were broken and due to that reason, they were creating different artifacts Voting Timer for the evolution tower was not working correctly after evolution tower upgrade. Once the first Leader of your civilization -- Adahy -- dies, your civilization will begin electing new Leaders based on the laws they propose. You can influence the vote by blessing your favorites, as Nuggets may not always choose the best Leader. Leaders are elected for one seasonal cycle, which is equivalent to 40 minutes of playtime. The laws proposed by the Leader will go into effect and offer various positives or negatives. We will continue tweaking this system based on your feedback and suggestions. It adds a new level of depth to the game that we believe will make the Nugget civilization appear even more alive and dynamic. If you have some great ideas for laws you’d like to see added to the game, let us know! Over time, non-believers that disagree with the views of their fellow citizens will leave the main city/village and form their own settlements. These settlements will grow as more non-believers leave. You can gain believers by answering their prayers (quests) or performing Creator Powers near witnesses (there shouldn’t be any witnesses if it’s a murder, though). For example, they may demand food or other resources to maintain the peace. If you fail to collect enough in time or outright refuse to comply, the aggression level of the other village will rise. These villages may then attack your civilization when you least expect it. Aggressive Villages might also raid your village for resources. However, they are quite sneaky, so pay attention to Nuggets exhibiting suspicious behavior. Keep an eye out for any weirdos walking around with a sack full of precious resources. Neutral Villages will request aid from your civilization during times of need. Refusing to help them will raise their aggression level. Friendly Villages will also request aid every now and then, but they will repay your kindness by offering gifts of resources if they notice a shortage in your civilization. Hey, what are friends for? The buildings and appearance of citizens of exile villages will have their own unique colors, which should help you identify intruders. Lumberjacks will no longer be axe-wielding monsters who seek the destruction of trees everywhere; they will now return to deforested zones and plant new trees to ensure a sustainable supply. How splendid! Grass patches have been added to the game. Wait, maybe we should rename this update as the Grass Patch? Either way, move closer to your screen and you should be able to smell the soothing aroma of fresh grass. For a better experience and improved readability, we have updated the Notification/Quest window. We would love to hear your thoughts, especially if you’d like to suggest further improvements. You can now assign up to 3 Engineer Nuggets to the Engineering Building, in addition to an increased zone of influence. It will require electricity to run now, though. Further increases water output. It also makes a mean cup of coffee, if you ask nicely. Buildings in a state of disrepair. Water Pumps freezing in winter. Incorrect usage of Creator Powers. When a Nugget sustains an injury. Comments on spying on Nuggets during mating. Name a Nugget quest commentary. FInd lost Nugget quest commentary. Heal a Nugget quest commentary. Punish My Nemesis quest commentary. Nuggets getting sick from lakewater commentary. A number of these comments are designed as an additional way to notify you of events or issues that you may have missed. Please let us know your thoughts on narration and how we can improve this system in the future. Major performance improvements due to a complete rewrite of the object culling system. Available resources checking by Nuggets optimized and improved. Save and Load System optimized. No more freezes/hitches when opening the panel. Optimized materials/textures used for buildings and villages props. Upgrade flags no longer shown on buildings that are already being upgraded or on those that are upgraded automatically. Research screen optimized for a more fluid experience. Stagefright: fixed an issue where Nuggets and wolves froze during wolf attacks. Bookworm: Research screen optimizations and minor bug fixes. Heavenly Fruit: Fixed an issue where dropping fruit on a Farm would cause panel issues. Casual Stroll: Nugget movement speeds during storms were way too slow, so we gave them more pep in their step. Remembrance: Fixed numerous issues with the save & load system, including saves not loading. Please note that older save files will no longer work with the new system. McWhat: Fixed an issue where Mac users were experiencing flashing textures on certain objects. Broken Record: Fixed an infinitely-repeating sound effect when certain UI elements were opened. Hospital Etiquette: In rare cases, two Nuggets could occupy the same hospital bed. We refuse to discuss the details of what they may have gotten up to, but it should no longer occur. Who Put That There: Fixed a bug where Nuggets were dying when walking over stones that were previously picked up by the player. Dehydration: Fixed an issue where Nuggets were getting stuck when going to drink. Clumsy Mechanic: Fixed an issue where placing a Battery in Creator mode was breaking certain subsystems. It’s Been 84 Years: Fixed an issue with long save times or not being able to save at all. That Never Happened: Fixed an issue where an active tornado would break the save system. Harsh Words: Fixed an issue where certain Narration triggers were bugging the game. Ascension: Fixed an issue where dead animals weren’t triggering physics (gravity) properly and would fly upwards instead. Lucky Accident: Fixed an issue where the chance for Nuggets to get infected by rotting corpses was not working properly. Missed Your Cue: Fixed an error with the Narration trigger for an approaching tornado. The Sin of Sloth: Fixed an issue with the Backbreaking quest where Nuggets would refuse to build the hut even after the player delivered the requested resources. Pathfinder: Fixed multiple issues with Nugget pathfinding. Purple Haze: Fixed an issue where godray textures were appearing as purple on Mac. Failure to Launch: Fixed an issue where some Linux and Mac players were not able to play the game (black screen) or experienced horrendous crashes. Seasick: Fixed a bug where Fishing Nuggets were getting stuck after loading a game. Delayed Forecast: Fixed a bug where Forecaster Nuggets were getting stuck after loading a game. Unusual Affliction: Fixed a bug where diseased Nuggets were creating weird textures on Mac. Frozen in Time: Fixed an issue where the game was not saving while paused. Cold Feet: Fixed a bug where the Gravedigger would get stuck while trying to collect a corpse. Secret Society: Fixed a bug where Nuggets would remain invisible when leaving Tudor houses. Off the Hook: Fixed an issue where the Punish My Nemesis quest wasn’t showing at times. Unmarked Grave: Fixed an issue where corpses delivered to the Cemetery by players were not generating gravestones. Quarantine Zone: Fixed a bug that caused Nuggets to refuse to occupy certain Tudor houses. Nani: Fixed numerous translation issues. Seeing Double: Fixed an issue where two Epicenter placement buttons were displayed in Creator Mode. Late Bloomer: Fixed an issue with the Healthy Malina Fruit in Farms taking hours to grow. Not Open for Business: Fixed a bug where players were able to drop dead Nuggets on Cemetery construction zones. What’s Your Name Again: Fixed an issue with Nugget names not displaying correctly in certain quest messages. Rough Terrain: Fixed an issue with the radius around buildings being cut short by uneven surfaces. The Farm quest is no longer triggered during winter. Increased the amount of wood one tree gives from 2 to 3. Players will now receive Creator Points upon accepting a quest to ensure they can actually complete them. Gas Pile has a new texture: yellow-purple. Medieval Water Pump has been implemented. Engineering Buildings have been upgraded to the Medieval Era. Five new Exile Village houses have been added. Exile Village Epicenters have been implemented. Electricity generation building panels: fixed the Battery info text locations to be more intuitive. Wiki screen: fixed missing localization. Updated status icons for buildings not working. Implemented the new Election Panel when clicking on the Evolution Tower. Evolution Tower: new status icon progress for elections. “Leader died” election banner implemented. “Election started” banner implemented + new animation. “Election ended” banner implemented + new animation. New quest panel design with text split into pages. Fixed a bug where baby traits were in the incorrect section of the Nugget ID panel. Fixed a bug where a spouse’s name was too long. Rearranged a few elements in the Nugget ID panel. Warehouse panel: fixed missing name. Main Menu: fixed missing animation for Locked Creator Mode. Nugget ID card: updated the renaming box visuals. Forestation Creator Power UI implemented. Main Menu: sign-up form implemented. Building list panel: added a new column for building upgrades. Exile Village Nugget ID cards implemented. Nugget ID card: added believer icon indicator. New Panel added for the Temple building. New icon for Lightning Strike god power. New icon for Forestation god power. Laws have new individual icons. Now when the question mark is clicked on supported UI elements, players will be redirected to the related Wiki page. Skip opening scene countdown timer added. We will continue to monitor and investigate any Save & Load issues that may occur. The save system is enormously complicated, largely due to it needing to save tens of thousands of procedural objects and simulations. Please note that older save games will not work in the latest version of the game. We’re sorry for the inconvenience, but the addition of these new features and optimizations will require you to start a new game.